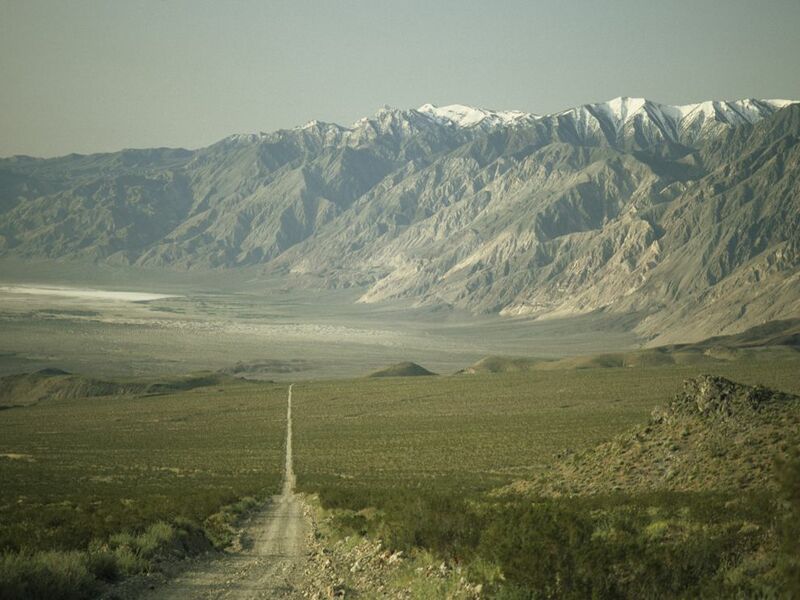 California's Saline Valley, in Death Valley National Park, is in the rain shadow of the Sierra Nevada mountains. The mountains block most precipitation from falling in the valley, creating a dry climate where few plants grow. A rain shadow is a patch of land that has been forced to become a desert because mountain ranges blocked all plant-growing, rainy weather. On one side of the mountain, wet weather systems drop rain and snow. On the other side of the mountain—the rain shadow side—all that precipitation is blocked. In a rain shadow, it’s warm and dry. On the other side of the mountain, it’s wet and cool. Why is there a difference? When an air mass moves from a low elevation to a high elevation, it expands and cools. This cool air cannot hold moisture as well as warm air. Cool air forms clouds, which drop rain and snow, as it rises up a mountain. After the air mass crosses over the peak of the mountain and starts down the other side, the air warms up and the clouds dissipate. That means there is less rainfall. You’ll often find rain shadows next to some of the world’s most famous mountain ranges. Death Valley, a desert in the U.S. states of California and Nevada, is so hot and dry because it is in the rain shadow of the Sierra Nevada mountain range. The Tibetan Plateau, a rain shadow in Tibet, China, and India has the enormous Himalaya mountain range to thank for its dry climate. The Sierra Nevada block wind and weather systems from reaching Death Valley. Death Valley faces a double-whammy of being located in the rain shadow of the Pacific Coast Range AND the Sierra Nevada. This is why Death Valley is one of the hottest, driest places on Earth. a large volume of air that is mostly consistent, horizontally, in temperature and humidity. dry land on the side of a mountain facing away from prevailing winds. movement of warm or cold air.